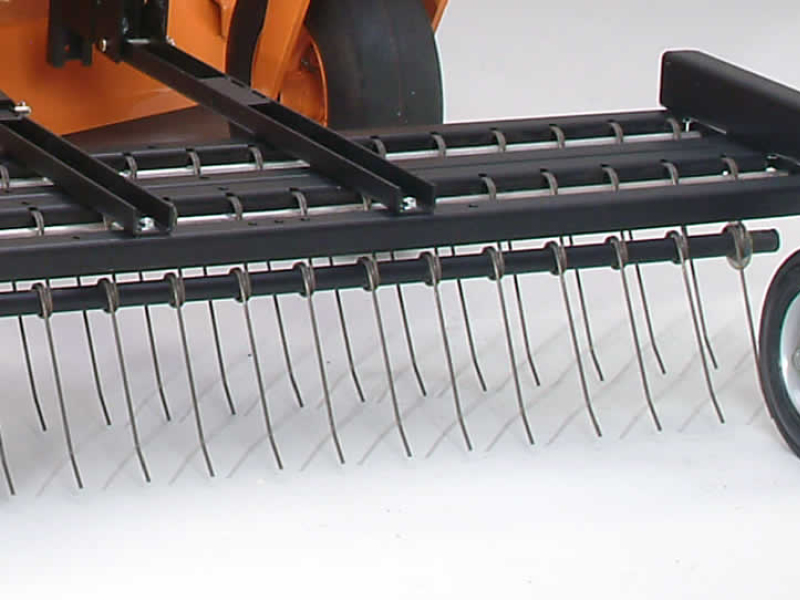 • Patented double looped spring steel tines work back and forth with a snap action to remove large amounts of thatch. 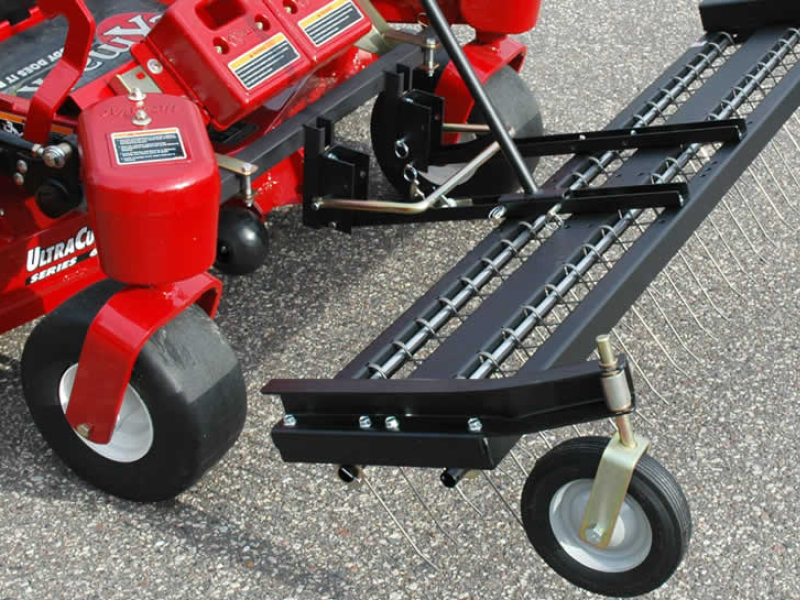 • A lift handle raises and latches the rake for transport over pavement and curbs. A ratcheting release mechanism easily lowers the rake. 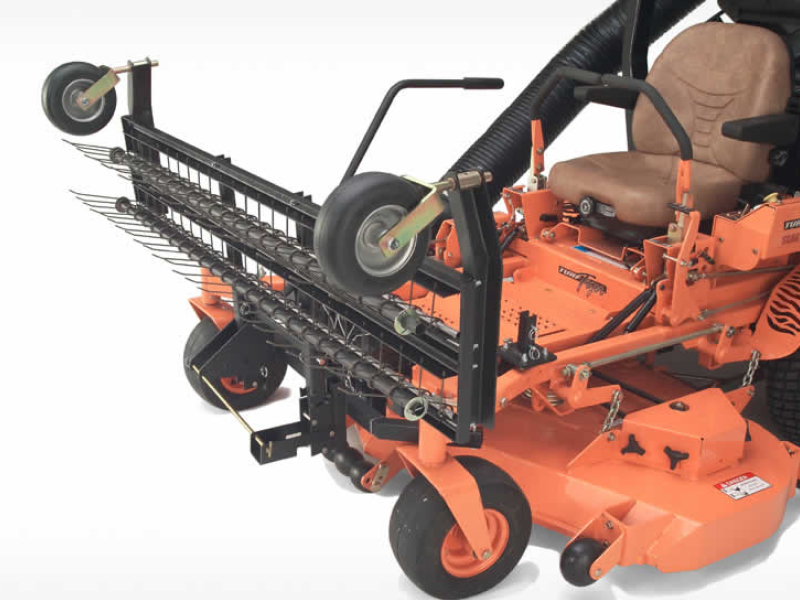 • The stabilizer tube through the lower loop of the patented double loop tines maintains tine spacing, allowing zero-turns without lifting the rake or damaging turf. 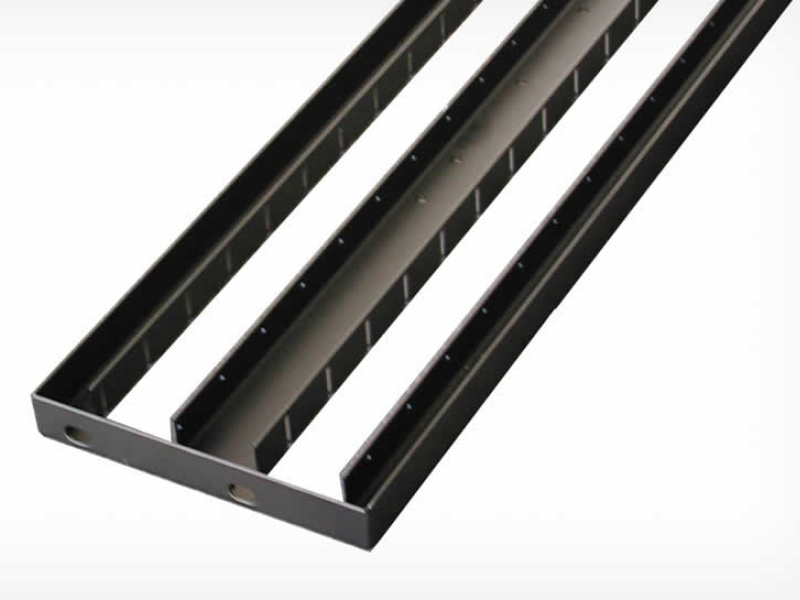 • Heavy-duty 12 gauge powder coated steel rake deck is the backbone of the dethatcher. 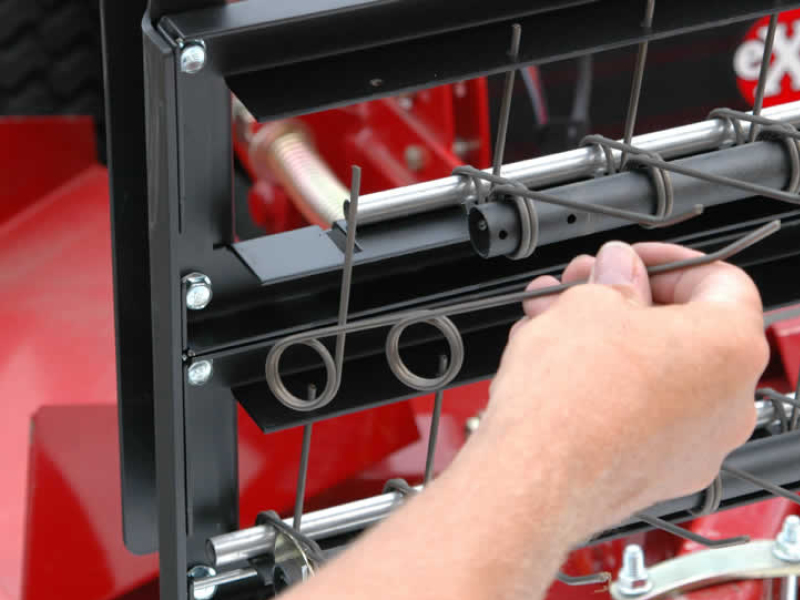 • Attaches to the JRCO mount system with clevis pins. 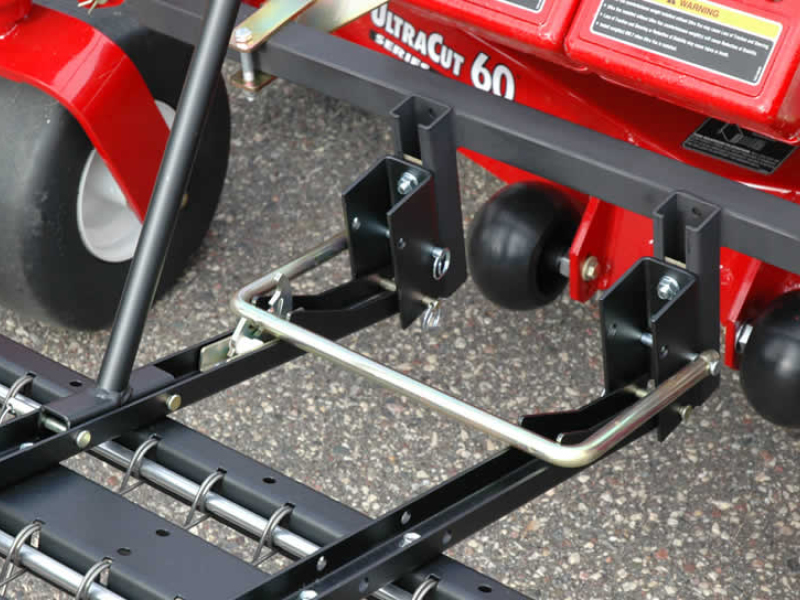 A heavy-duty latch bar secures both arms. 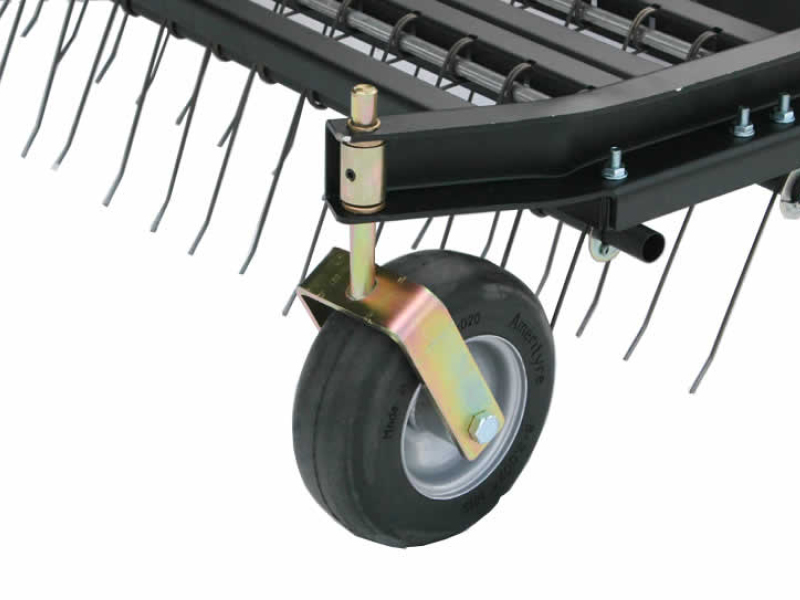 • The rake height can be adjusted with the front wheels and u-brackets.